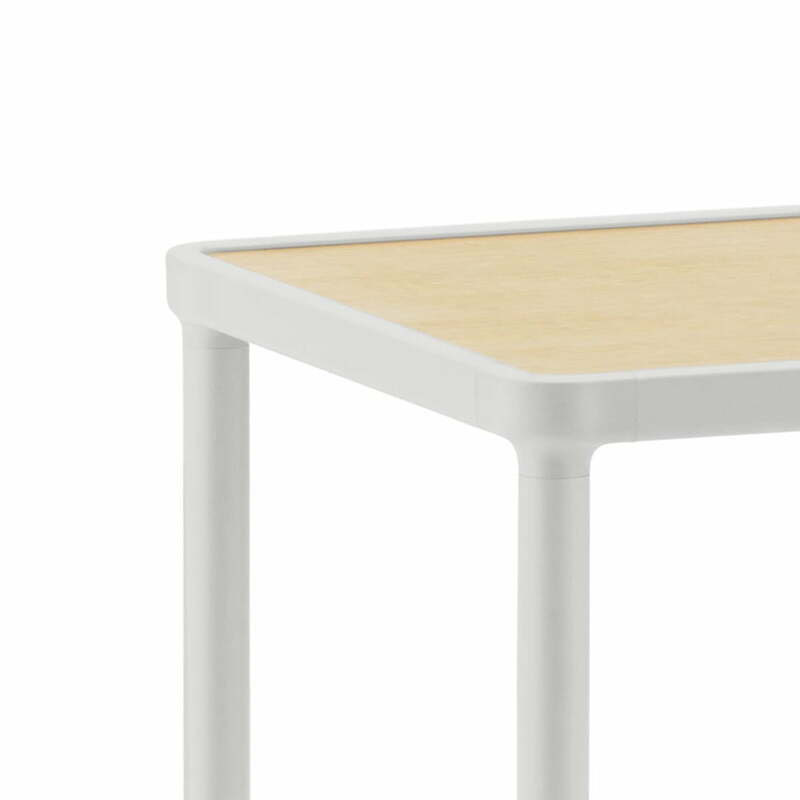 Thanks to the two table sizes, there is a variety of design possibilities. 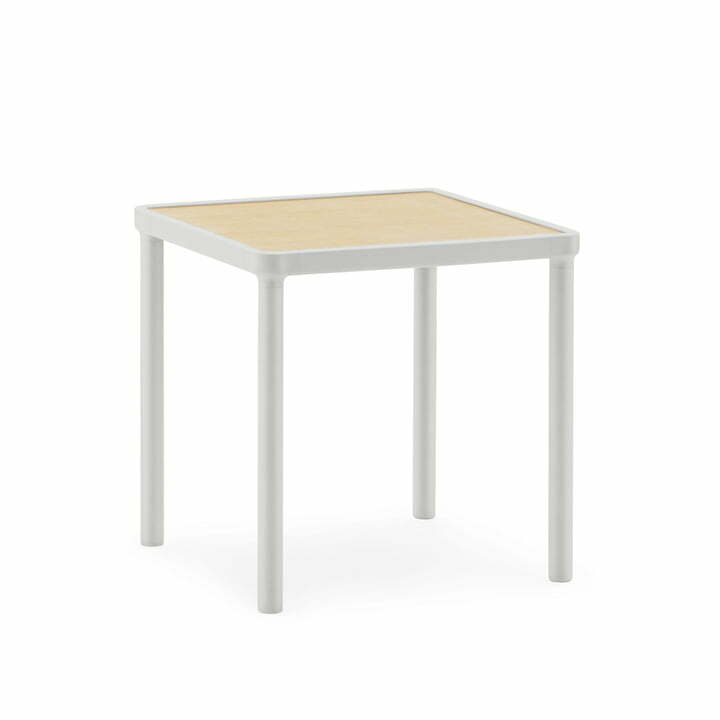 The smaller table is generally designed in lighter shades than the large table. 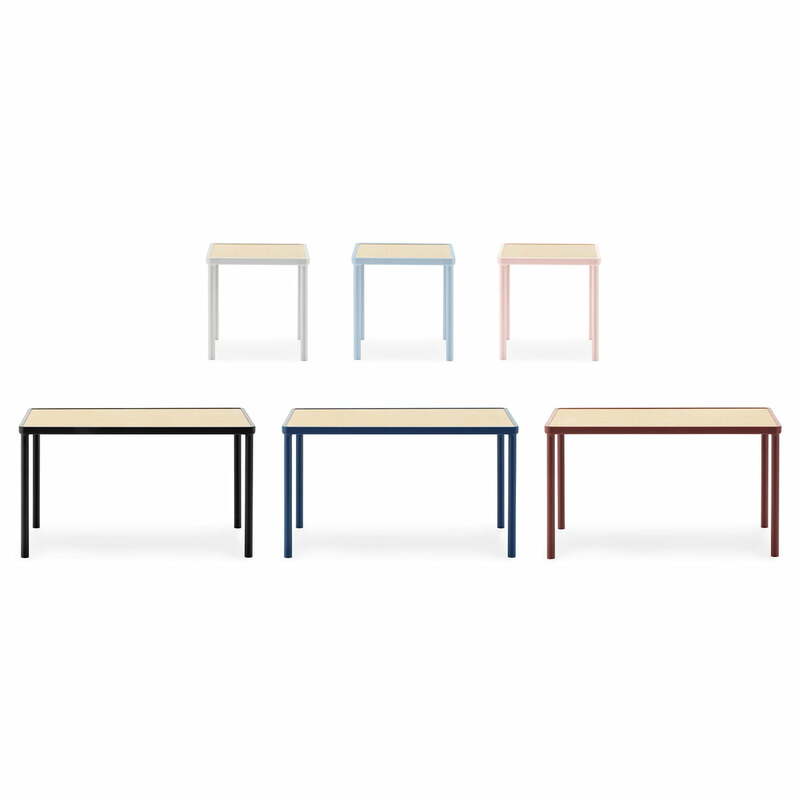 The complementary tables easily bring a little colour in the living room, when combined. The small table can also stand under the large one, so it can be pulled out to expand the large table if necessary. 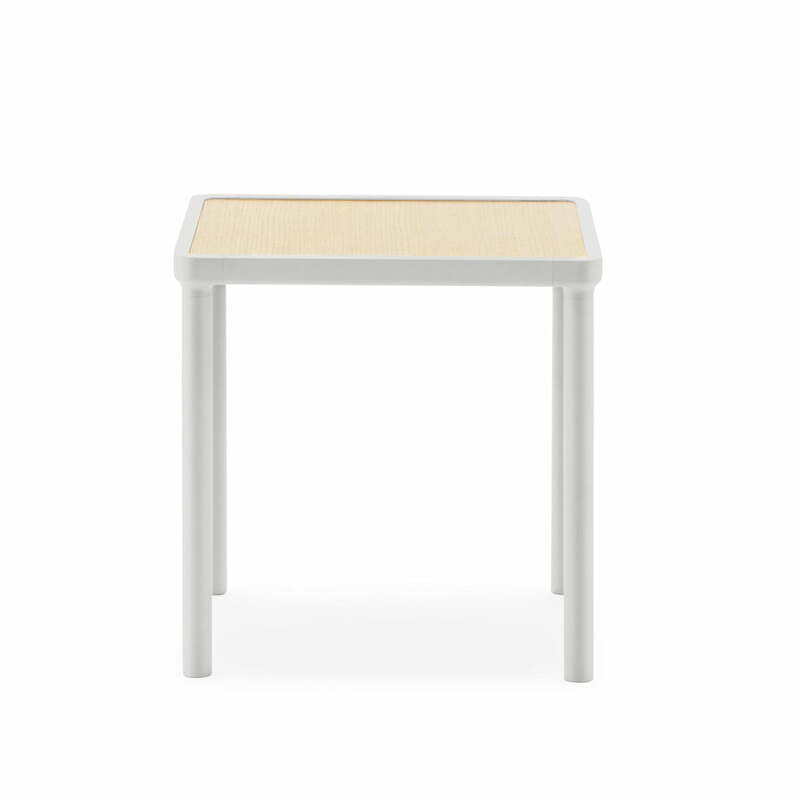 Product view of the Case coffee table 40 x 40 cm from Normann Copenhagen in light grey. The design for the Case series comes from Hans Toft Hornemann. 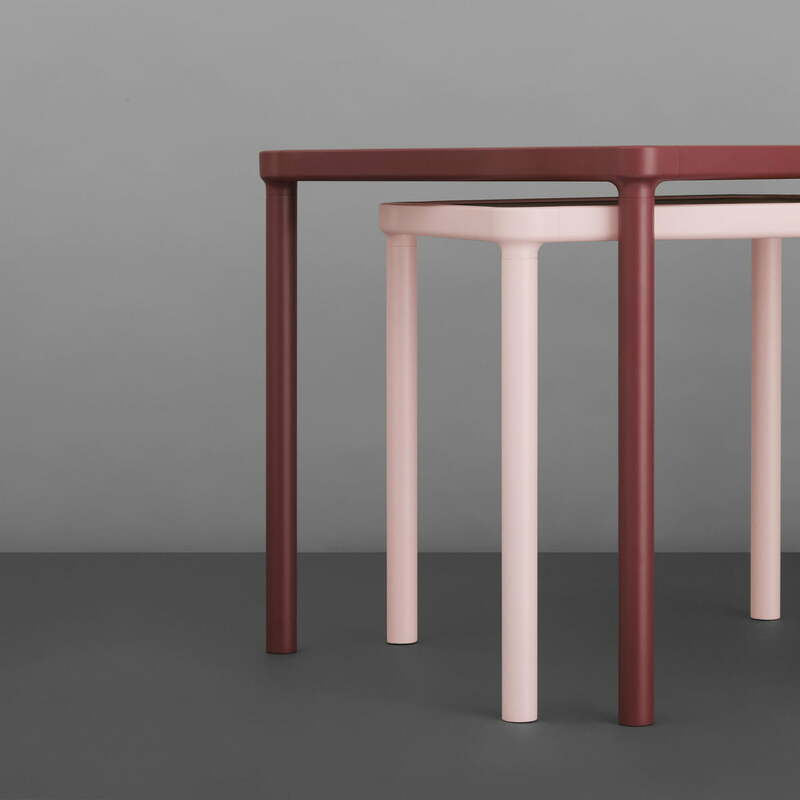 The industrial elements in form of the frame made of powder-coated aluminium are characteristic of Hans Toft Hornemann’s design of the Case coffee tables.